It’s over. Four years and four movies later, the Hunger Games film saga has come to an end (for now, barring any prequel and sequel ideas). Seeing this franchise progress has been an interesting experience, given its young adult fiction roots in the novels by the Suzanne Collins. Harry Potter notwithstanding, no other YA movie series has met a comparably consistent level of success not just financially, but also among fans, critics, and general audiences alike. What better way to mark its end than with an emphatic The Hunger Games: Mockingjay Part 2, the last of a bipartite finale? Alas, “emphatic” is not a word to describe this film, which never justifies Lionsgate’s decision to split the series’ third novel and fails to provide a satisfying conclusion. As Katniss Everdeen (Jennifer Lawrence) recovers from being choked by a brainwashed Peeta Mellark (Josh Hutcherson), her former lover, she finds herself all the more determined to actively fight in the war against the Capitol and its ruler, President Snow (Donald Sutherland). 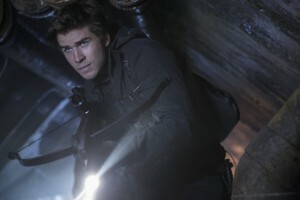 Though President Coin (Julianne Moore), leader of District 13 and the rebellion, is reluctant to send Katniss to where the action is, she approves of placing her – and friend Gale Hawthorne (Liam Hemsworth) – in a unit whose purpose is to film propaganda videos of her while keeping a safe distance away from the combat. 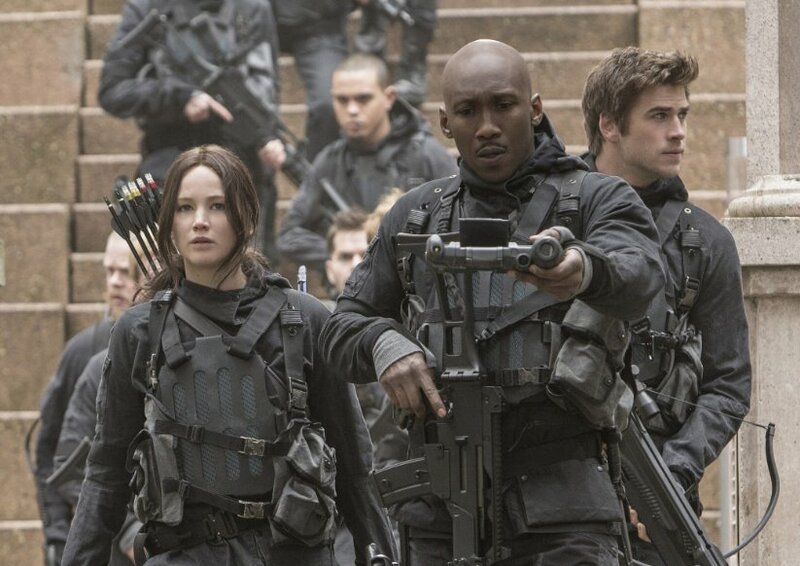 Katniss has other plans in mind, and she soon leads the unit deeper into the Capitol with the intention of assassinating Snow. Awaiting her and her friends, though, is a city brimming with enemies and traps, which will force them into making difficult moral choices and forever alter their lives. Full disclosure: I’ve read all three books in the series, and I didn’t enjoy the third one at all. While Collins does a great job at drawing the reader into the world of The Hunger Games with the first two novels, she somehow manages to make Mockingjay a turgid affair, never settling into a comfortable rhythm and surprisingly keeping the reader distant from its characters and events. What compounds this even further is that the book almost never hits any of its emotional beats, and nothing typified this more than me wondering why a certain character stopped appearing, before turning back a few pages and realizing that he or she had died. Honest to God, that was probably the most disappointing reading experience I’ve ever had, and I hate using hyperboles. Now, before you begin hurling any accusations my way, allow me to say that I was actually looking forward to the adaptation. My hope was that screenwriters Peter Craig and Danny Strong – who scripted both films in this two-part conclusion – would deliver the real finale that the series deserved by expanding, cutting, and tightening where necessary, all in all making it engaging, which the novel never was. Heck, I even supported the studio’s decision to split it into two movies. After all, how filmmakers go about with a vision is more important is the vision itself, yes? Besides, if Craig, Strong, and director Francis Lawrence had the license to really fine-tune the source material for its triumphant adaptation, that decision could work to their benefit. Never mind that the move screamed “cash grab” at the top of its lungs; as far as I was concerned, I was in. Hopefully, just hopefully, I wouldn’t have to turn to some fanfiction to receive an ending that’s worthy of what has been a great story. For better or for worse, I guess I’ll have to stick with fanfiction since it’s abundantly clear that that Mockingjay should have been one film. Mockingjay Part 2 can’t and doesn’t stand by itself simply because it doesn’t function well without the events in the previous pic. Perhaps I should have seen this coming; the second half of the book (war) is a different beast in comparison to the first (propaganda), so in a sense, this film is almost set up for failure by design. Still, I do think that the ingredients are there to make this entry breathe as well as it can on its own – it just needs a few tweaks here and there to move forward confidently. Unfortunately, while the film does move, it doesn’t do so with poise. The most glaring issue lies in the film’s pacing, which rarely lets the audience catch a breather and instead barrels them into the action. The problem is indicative right from the get-go; rather than easing us into the proceedings, the film abruptly drops us into a moment that takes place an unspecified amount of time after the end of Mockingjay Part 1 and hurtles forward without allowing us to come to grips with what’s going on. Yes, those who have read the books will have an idea of that, but this isn’t a film that was made just for them. I feel bad for viewers whose only exposure to the world of the Hunger Games comes from the films because this entry hardly provides the scenes to develop the context, information, and relationships that link everything together, resulting in an emotionally stunted picture. Most of the key character-driven scenes fall flat since there is barely any buildup to those moments. To make matters worse, the film doesn’t show the characters reacting to all the death and pain they witness firsthand, so their experiences just ring hollow. Without a doubt, action takes priority over characters here, which makes caring about the story fairly difficult. 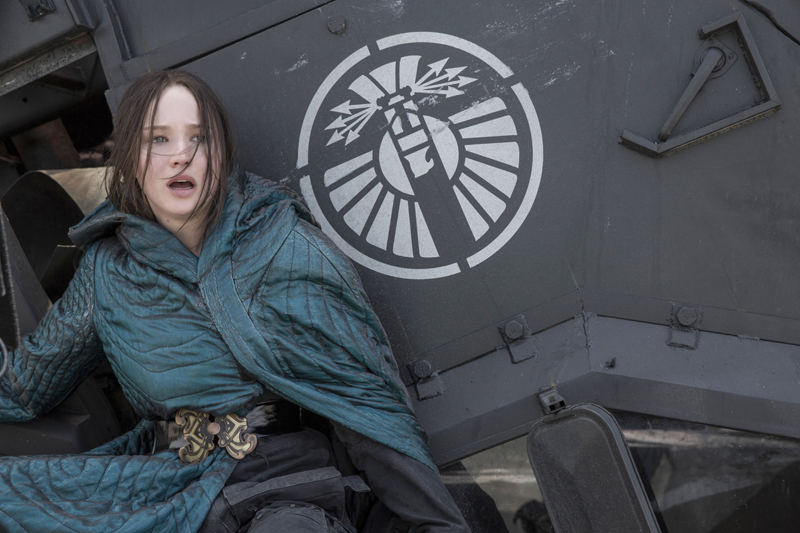 With Mockingjay Part 2 being an action-oriented war film, the characters get the short end of the stick. What makes Hunger Games series – both the books and the films – so engaging is that we get to see how its characters – particularly children – are forced to change due to their circumstances and the events around them. They are, in every sense of the word, the heart of this grand, tragic tale. Imagine my disappointment, then, upon finding that not only do most of them not have an arc here, a number of them don’t register as living characters at all. Characters like Johanna Mason (Jena Malone) and Annie (Stef Dawson) are relegated to brief cameos, yet they’re in an odd situation where the film clearly wants us to care about them despite having neutered them. 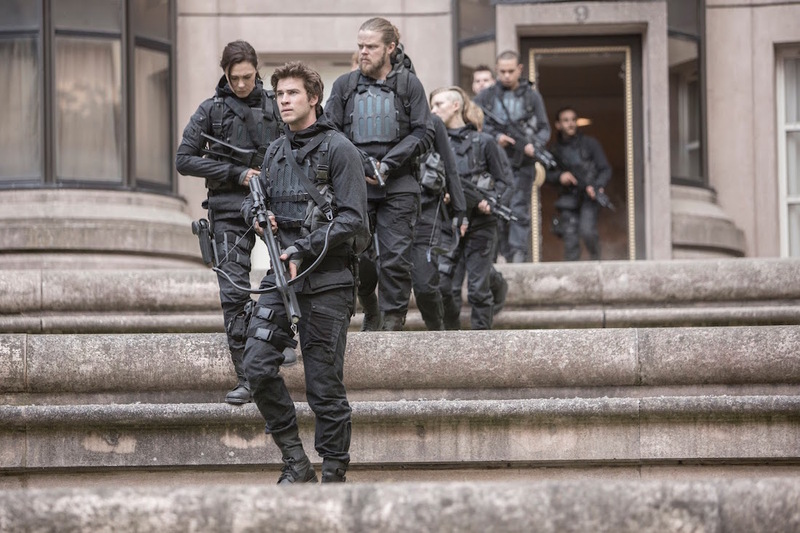 As for Katniss’ squad, they basically consist of red shirts and cannon fodder; it’s truly a missed opportunity since the film’s biggest setpieces revolve around them, yet we don’t get a sense of how the war is affecting them on a personal level. Katniss herself is in an interesting position – though she’s less vulnerable (and by that, I mean less mopey) compared to her book counterpart, the film keeps her at a distance, no doubt due to the lack of quiet moments we’re given with her. Characters should matter more than ever in this installment, yet they never seem to. I suppose my main problem with this film is that it generally sticks close to the novel, and whatever changes it does make ends up leading to its own detriment. The supposed love triangle between Katniss, Peeta, and Gale fails to convince, and the idea that Katniss has to choose one over the other is laughable. Dialogue is lifted straight from page to screen, and some lines that sound fine in the source material feel forced and come off as awkward here. While Craig and Strong do excise some content from the book to keep the film streamlined, it’s too bad that it had to be material that would further develop the characters. However, all this pales when compared to the ending; while it is tweaked a bit, it turns out to be worse than the book’s. 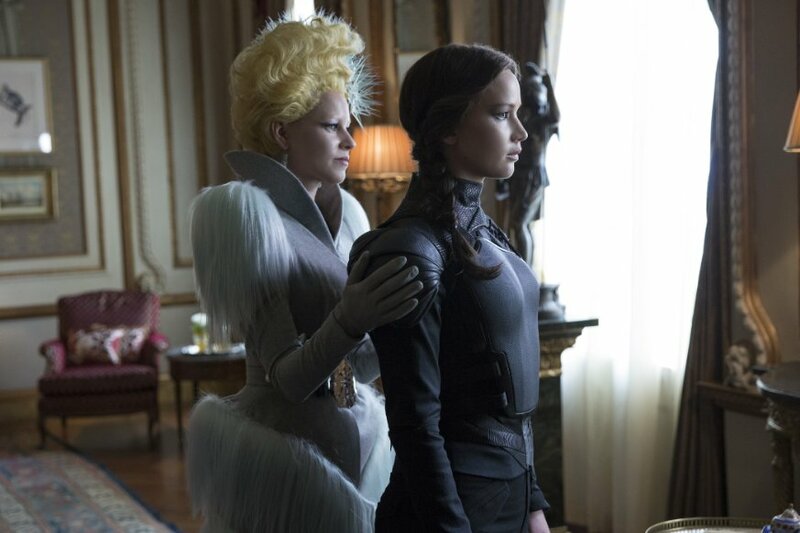 There is no sense of a resolution for any character who has some degree of significance besides Katniss, Peeta, and Effie Trinket (Elizabeth Banks), and it fails to explore the post-war relationship between the first two, instead skimming over it to get to the film’s final scene. 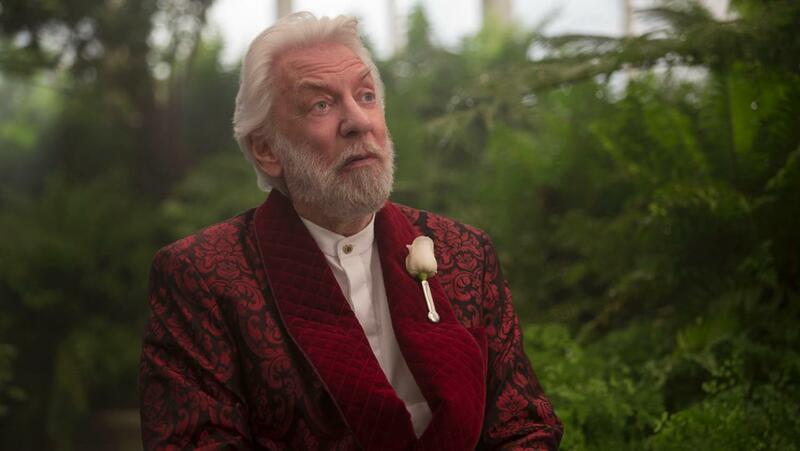 Also absent is the portrayal of life in Panem following the war, which is diminished into a single news bulletin. This indicates that really, everyone apart from Katniss and Peeta isn’t worth a damn cent in this story. Talk about a much-hyped finale that ends with a whimper. The film series has assembled a fine cast over its four-film run, but this installment wastes most of them. Jennifer Lawrence effortlessly slips into her role, and she’s at her best when expressing the character’s defiance and steely resolve. 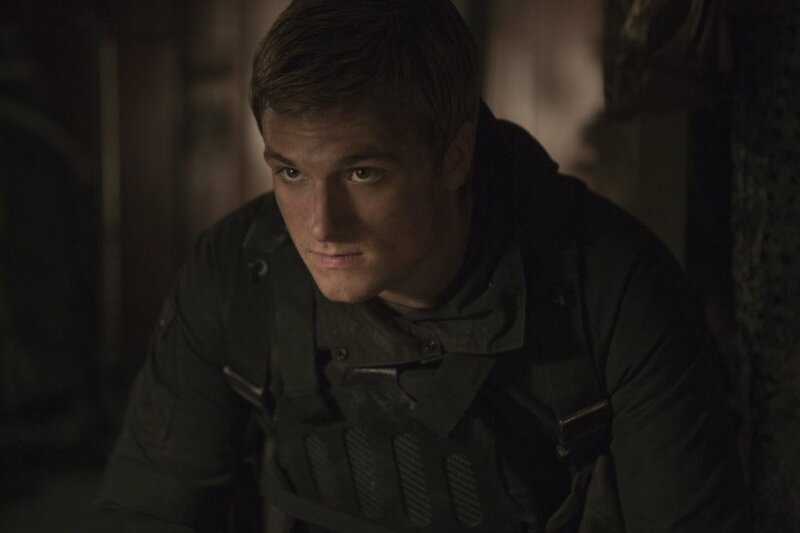 Continuing Peeta’s arc from Mockingjay Part 1, Hutcherson shines here, perfectly nailing the emotional beats of someone who suffers from post-traumatic stress disorder and torture. Hemsworth is solid here, but he never gets a chance to really come into his own because the film hardly gives him chances for Gale to breathe. Sutherland, ever so sly, relishes being sinister, and his scenes are memorable. There are plenty of recurring characters like the aforementioned Effie and Coin as well as Haymitch Abernathy (Woody Harrelson), but the film flashes by them and almost everyone else; apparently the film wants us to know that they simply exist without being major players this time around. Apart from the characters and story, the film certainly seems to have been in competent hands. This is a fairly dark picture, and the behind-the-scenes team use every technique in their arsenal to maintain a sense of doom and gloom, from the limited light and dull-colored costumes to the gray hues that pervade through each frame. 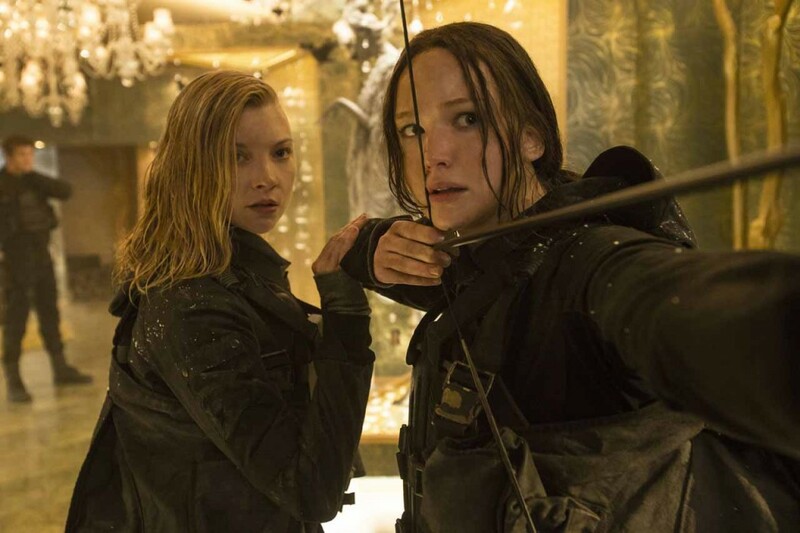 I can say that Francis Lawrence has a knack for shooting action, as there are a handful of adrenaline-rushing sequences, particularly a terrifying one that takes place in the Capitol’s sewers and evokes the director’s work from I Am Legend. 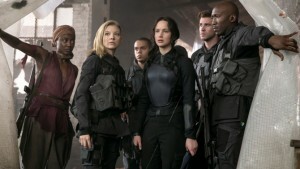 After the first Hunger Games film confidently took its first steps, the franchise strode forward with Catching Fire before cooling off with Mockingjay Part 1, only to pull itself to an exhausting finish with Mockingjay Part 2 – an indication that the series wore out its welcome with one installment too many. Unable to stand without its predecessor, this flick can only sweep the audience into the action without ever pausing to catch its breath. Furthermore, it appears unwilling to take risks and build upon its characters, so it never is capable of delivering a fulfilling finish. It’s unfortunate the the franchise ends on this note; I suppose a director’s cut of Mockingjay (in one film) would be worth watching and could leave the series with a better taste in my mouth, but regardless, I’m just glad that it’s over. This entry was posted in Movies on December 7, 2015 by Jun I.